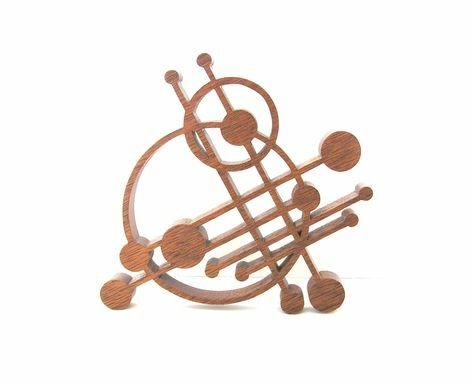 This fantastic artwork is made of mahogany and makes a great statement piece for modern-themed homes. The piece measures 5 1/2''x5 _'' and is 1/2'' thick. Clear coat was applied on the wood to protect it from elements. 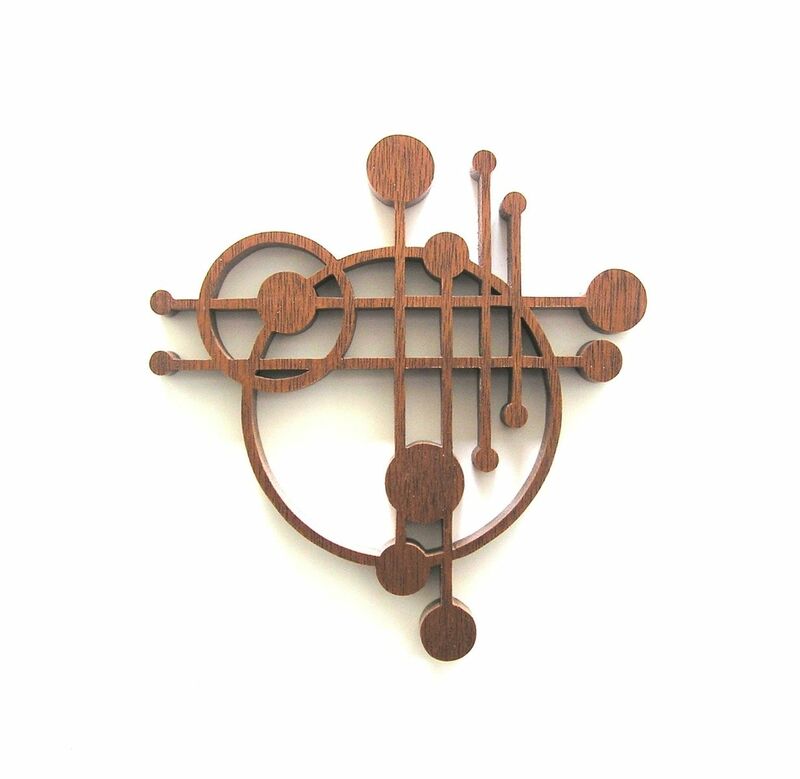 This piece is part of the "Mid-Century Modern Classic Series''. Other artworks from the collection are sold separately.